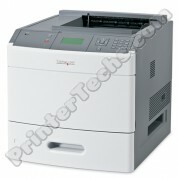 REFURBISHED Lexmark T642N 20G0250 Laser Printer ! MINT! This PrinterTechs refurbished Lexmark T642N workgroup printer is in immaculate condition. Includes a network card, a 500-sheet paper tray. Prints up to 50 pages per minute. 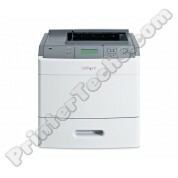 This printer has been professionally refurbished and thoroughly cleaned by our experienced USA technicians. 90-day warranty. 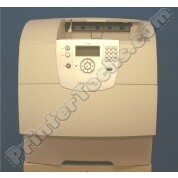 This Lexmark T652N printer (30G0210) is in excellent condition. It has been professionally inspected, cleaned, and refurbished by our experienced USA technicians. This sale includes the printer and power cord only; it does NOT include toner cartridges, data cables, or installation disks. This PrinterTechs refurbished Lexmark T644N workgroup printer is in immaculate condition. Includes a network card, a 500-sheet paper tray. Prints up to 50 pages per minute. 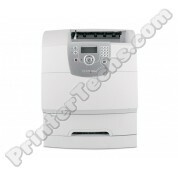 This printer has been professionally refurbished and thoroughly cleaned by our experienced USA technicians. See our refurbishing process in the details below. This PrinterTechs refurbished Lexmark T644TN workgroup printer is in immaculate condition. Includes a network card, two 500-sheet paper trays. Prints up to 50 pages per minute. This printer has been professionally refurbished and thoroughly cleaned by our experienced USA technicians. See our refurbishing process in the details below.